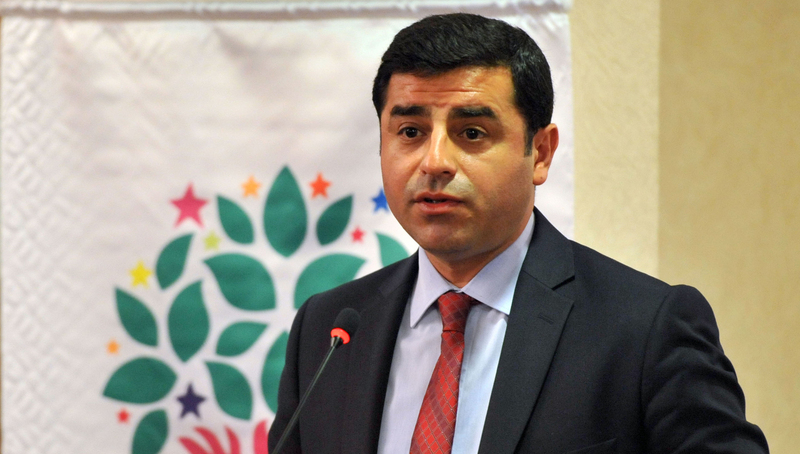 So, basically, the life of HDP co-leader Selehattin Demirtas was directly threatened. The bombs going off simultaneously in front of the HDP offices in Adana and Mersin not too long before Demirtas was to arrive in Mersin, where the HDP held an election rally that day, could have killed him. Meanwhile it is the governing party AKP that is trying to make people believe that the life of President Erdogan is under threat, by totally distorting a headline in one of Turkey’s biggest newspapers, Hürriyet). 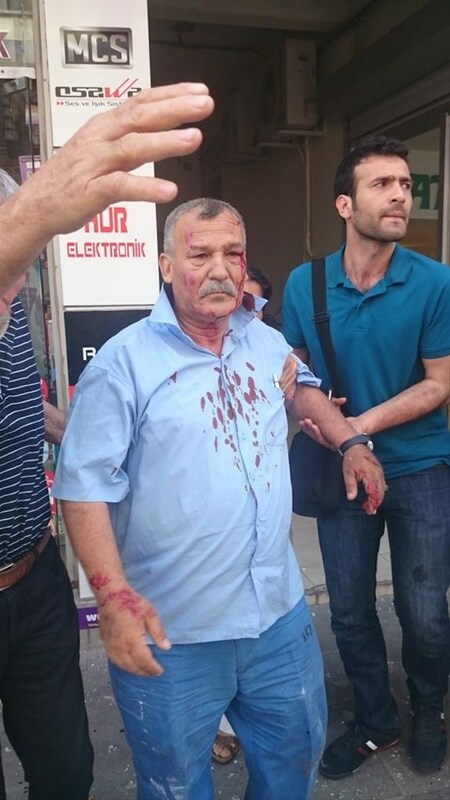 Several people were wounded in the attack on the HDP officie in Mersin. The bombs in Adana and Mersin are a new low in the seemingly endless series of attacks against HDP offices, members, election stands and campaign busses which all, I repeat all, go unpunished. What is behind all these attacks? One important yet under-exposed factor: separatism. There are different kinds of attacks. The ones in Adana and Mersin were obviously carefully planned. It is even reported that some security cameras around the buildings were hacked in the run up to the bombings. Often though, the attacks seem more spontaneous, with groups of tens or hundreds of people marching to a HDP office, trying to throw stones at it or trying to enter it. These groups are often escorted by police – or how else should we call the cops’ strategy of trying to softly talk reason to these aggressive folks instead of taking proper measures to disperse such lethal crowds? Sometimes assailants creep up at night and try to set buildings of the HDP on fire. The Human Rights Association (IHD) published a report on 20 May about violence during the elections, revealing that between 23 March and 19 May there were 126 attacks against parties: 114 against HDP, 7 against AKP, 3 against CHP and 1 against MHP. It further revealed that no serious investigation of the attacks has been initiated. All together, 7 people were taken into custody, of whom only one was arrested. The report doesn’t reveal which attacks on which parties are concerned. Nobody has been taken into custody yet in relation to the twin bombings. Many analyses of the backgrounds to the attacks that I’ve been reading focus on the current atmosphere surrounding the elections. President Erdogan wants to have executive powers and needs to change the constitution in order to get them, and therefore it is crucial that the HDP remains under the 10% threshold – read all the maths here. Since the momentum for the HDP – basically the only opposition party with a solid vision for Turkey’s future and with a highly popular co-leader, Selahattin Demirtas, even among non HDP voters – is growing every day, it is in the AKP’s interest to provoke the HDP. It is for a reason that Selahattin Demirtas urged his voter base to remain calm in the wake of the attacks and not take revenge. After all, if HDP supporters were to get violent, Kurdish voters who voted AKP before but turned back to HDP after the dramatic events in Kobani last year, for which many also blamed the AKP, may reconsider their switch to the HDP. And more importantly: the HDP is working hard to convince voters outside their traditional voter base in the Kurdish southeast of their democratic goals for everybody in Turkey. If Kurds in the southeast and in cities with big Kurdish communities (like Istanbul, Izmir, Mersin and Adana) turn to violence, swinging voters who do consider voting HDP to stop Erdogan from gaining more power, may go back to (mainly) the CHP again, since a big share of them are already hesitant to vote HDP because of their connection to the PKK, which many of them still consider a terrorist organization. I don’t really see the benefit of violence against the HDP for the other two opposition parties. Okay, the CHP would be the one losing the most voters to the HDP, but the CHP has no violent militias connected to it and the party is not known to incite their voters to violence. Also, the CHP is the only party that hasn’t been viciously ranting against the HDP. Even if they end up with fewer votes than in the previous elections, they would be disappointed (and their leader Kilicdaroglu announced that in that case he would step down) but if it meant that the HDP passed the 10%, they would be happy that Erdogan’s ambitions were hampered. The ultra-nationalist MHP is doing fine, mostly because of the ‘peace process’ which they depict as a capitulation to terrorists, and is gaining votes in the polls, possibly going from 15% in the previous elections to 18% now. If the Kurds were to violently react to the current provocations, it may even cost the MHP votes since the AKP could turn to more nationalist rhetoric again, attracting MHP voters who are against the peace process. But besides these election dynamics, I think it is also crucial to take a look at the larger problem behind this violence. Which is, as I see it, an interesting form of separatism. Let me explain. The violence against the HDP and its predecessors did of course not start with the kickoff of the election campaigns, around the end of March. The violence against the HDP and its predecessors is nothing new. In every election campaign, or for example when the BDP went to the Black Sea Coast in early 2013 to explain the peace process to the people, they have been in trouble. This is part of a larger problem that Kurds have in Turkey, and which entails for example also violence against Kurdish students in universities across Turkey. This violence is directed at Kurds who refuse to be Turks and somehow struggle to have their ethnic identity accepted in Turkey. To Turkish nationalists, they are considered to be not respecting the ‘brotherhood’ between Kurds and Turks, meaning that both groups share their religion, history and values, leading to a ‘social fusion’ between Turks and Kurds in which they are basically mutually interchangeable. Kurds demanding anything based on their ethnic identity, like education in their mother tongue or respect for their flag or national heroes, break the social fusion. Which equals separatism, which goes against the core of the brotherhood. And separatism is, in the nationalists’ mind, symbolized by the armed struggle of the PKK and the related unarmed struggle of the broader Kurdish political movement. Anybody sharing the demands of the PKK, supporting the PKK, or not condemning it, is seen as a terrorist. You can see this theory in action when you look at videos of attacks on HDP offices. Often, nationalist slogans are chanted (‘How happy the one who calls himself a Turk!’), or attackers make the Grey Wolf sign with their hands (the militias tied to the MHP – that the MHP as a party is probably not directly masterminding the attacks from above, doesn’t mean their supporters and probably local branches aren’t often involved) or the ‘tekbir’ sign (index finger in the air), promoting Islamism. 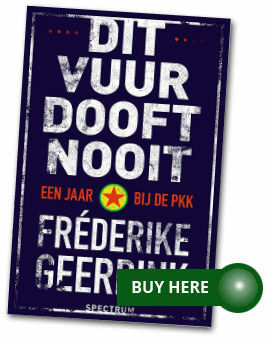 And now that political party, leftist and rooted in the Kurdish political movement, is trying to conquer Turkey. This is just too much for Turkish nationalists. As long as the Kurdish political movement stays in the southeast and holds rallies in Diyarbakir, Hakkari and Elazig, they won’t react too much (also because they in general don’t set foot in the southeast, except in army gear) but as soon as HDP politicians cross the borders of the Kurdish majority areas, they are just not safe anymore. And who is going to protect them? The state? Of course not, since the nationalism that I just described is still Turkey’s state ideology. It’s obvious also when you look at the videos of attacks and focus on how the nationalists and the police react to each other: they respect one another, because they are cut from the same cloth. So what is the message here? Activist Kurds and their movement should just stay where they came from (as second option after ceasing to exist). Don’t cross the border of the Kurdistan that subconsciously but unmistakably exists in Turkish nationalists’ minds. Don’t try to appeal to new audiences; don’t think you can open offices all across Turkey without repercussions. That is the mindset behind the previous and current attacks against the Kurdish political movement and its offspring the HDP. I call it separatism – the concept they so vehemently claim to despise. Previous Previous post: Is Turkey trying to suffocate life in Kobani again?